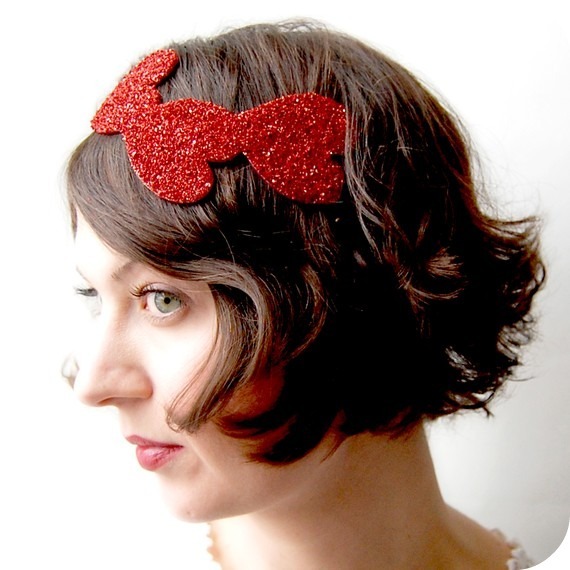 Today I am in love with this Giant Dwarf Mini Heartlette Crown. It's sparklie and it reminds me of Dorthy's shoes from The Wizard of Oz. I'm getting excited about Valentine's Day. I won't start celebrating until February 1st but I'm getting prepared. Tonight my main goal is to make Bono Baby a bow tie for our little Valentines photo shoot. 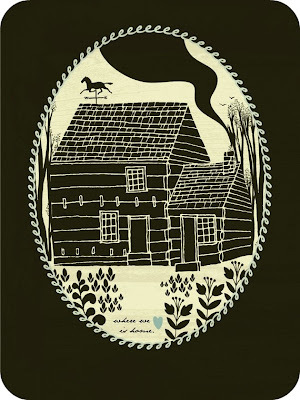 Dear Amanda just sent me a link to this lovely print, Homestead from Spread The Love. I am seriously tempted to get it for my Daniel. It reminds me of our camping trips in the Smokies. I hope you too are feeling the "upcoming" love in the air. I will be very happy for January to be in my past. Though, I had my hair done today so things are looking up. p.s. Do you have any special Valentine's Day traditions? I'm hoping to make heart shaped cookies, fancy up my mantle, spoil my man, spoil my Bono, wear a lot of red, and send out love notes. I saw that on etsy as well - gorgeous!! I love it! I hope to be sending out some lovely cards to some lovely friends and maybe a date night with the hubby!